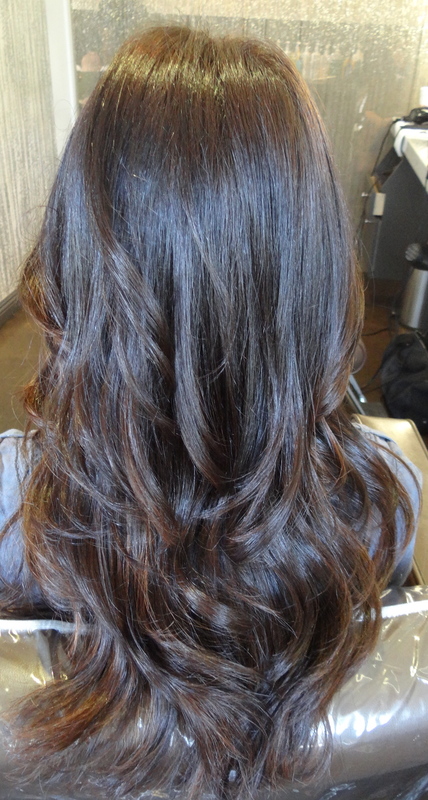 This client’s new shade demonstrates the fall hair color trend perfectly–a rich, chocolate brunette that makes your eyes pop and is super shiny and healthy. Color by Sarah Conner. 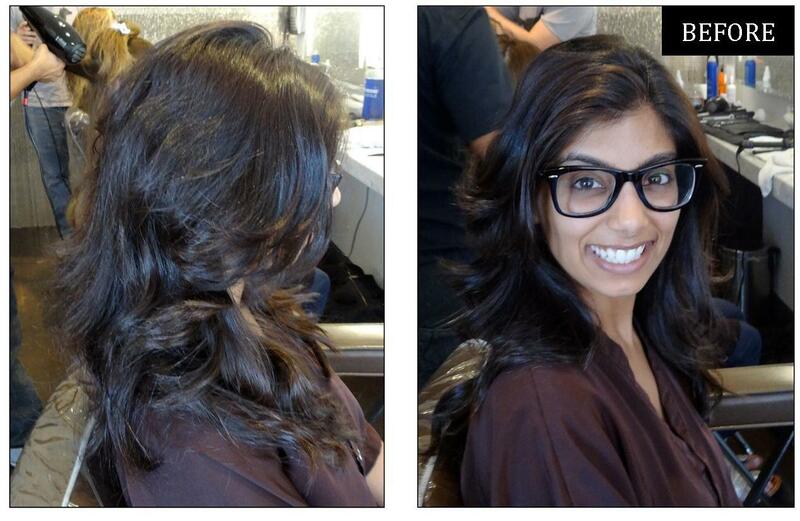 Book an appointment with Sarah by calling us at 310-275-2808. 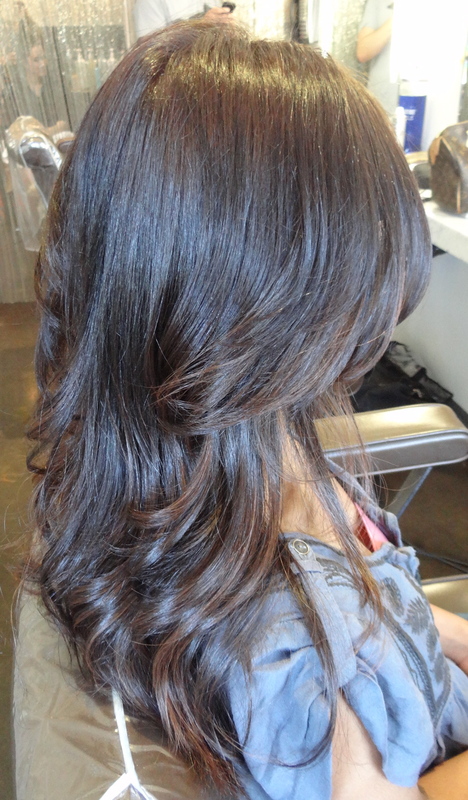 Tip: Keep your hair color from fading and going dull by adding moisture with a hair mask. Use the Neil George Intense Repair Mask once a week in lieu of your regular conditioner to deeply moisturize the hair and create added shine. 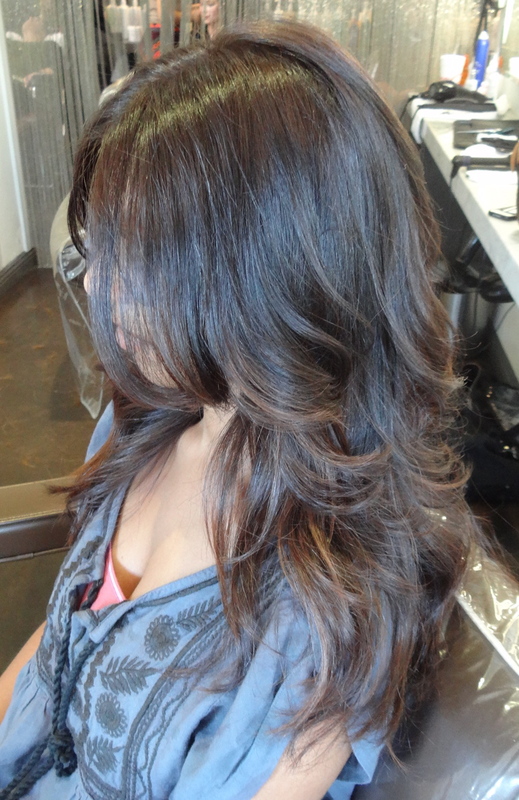 This entry was posted in Brunette, Hair Color, Hairstyles, Long, Makeover, Pro Tips, Products and tagged before and after, best hair colorist los angeles, best salon los angeles, brown hair color, brunette hair color, chocolate brunette, dark brown hair, dark chocolate brunette, fall hair color trends, hair color makeover, neil george intense repair mask, sarah conner. Bookmark the permalink.